The world's LEADER in providing quality Training program. And you just found IT. Work-based training has become an important part of any organization's operations & it has indeed become necessary to encourage all the employees to update & improve their skills to meet the challenges of a dynamic & modest global marketplace. Gteknologies trainings are designed at bringing out the best in your people & offer them a chance to improve their skills, learn advanced & creative approaches, with a view to increase the organization's performance, productivity & profitability. 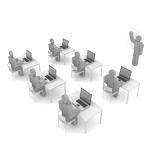 Gteknologies has designed the training according to the requirement of the IT industries in the present scenario. Gteknologies is providing the Training Program on Web Development by PHP Scripting Language with one Live Project. So Hurry up & Don't miss the opportunity. Do you know that Open source technology is hungry for new Professionals. We are now offering Interactive Training on Web development in PHP & Mysql. & Web Design Skills (Web 2.0), AJAX, Joomla, Ecommercre, Smarty Template System & many more. After successful completion we will bring you training completion certificate. A good web development approach is the keystone to a fruitful online Business. To achieve the success on internet web-site requirements professional services & skill to face the world-wide competition on internet. We offer custom web development services to meet client needs. PHP is a widely-used server-side scripting language that is especially suited for Web development & building complex web applications & can be embedded into HTML. PHP is open source & platform independent. MYSQL is the database used as backend to develop web applications in PHP. PHP & MySQL it’s possible to make very big web applications. PHP & MySQL are used to make content managements systems (cms), e-commerce applications, blogs, job portals, matrimonial sites, forums & custom web applications. Some of the web-sites developed using PHP are: NAUKRI.COM, FACEBOOK.COM, SHAADI.COM. We Provide world class training for Web-site development. The training parts are full of practical knowledge & professional project training. Yahoo using PHP since 2002? Which encoding language is used by Naukri.com? Prerequisites: Understanding with using Firefox, IE, Safari or other web browser to view web-sites. Working familiarity of Windows & a word processing package. Level: Beginner to Open source. We will provide you training on any one open source technology for these platforms [CMS, BLOG & ECOMMERCE].